New details from the latest issue of Famitsu. 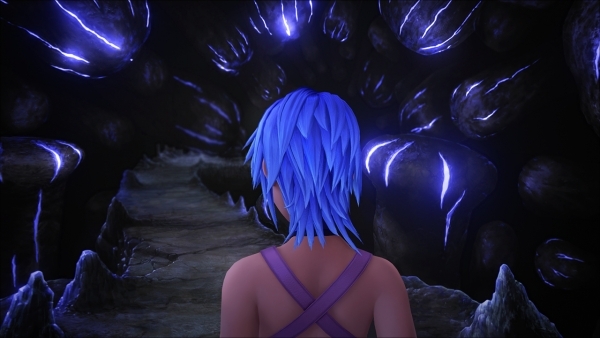 Kingdom Hearts 0.2 Birth By Sleep: A Fragmentory Passage, which is included with the recently announced Kingdom Hearts HD 2.8: Final Chapter Prologue, will follow a story where Aqua makes her way through the world of darkness, the latest issue of Famitsu reveals. The story begins immediately after the secret episode in Kingdom Hearts: Birth by Sleep Final Mix. There are plans to include elements that are part of Kingdom Hearts III in 0.2, as well. The game is a short episode whose total volume amounts to that of about one Kingdom Hearts series world. As for why this game is only on PlayStation 4, rather than also on PlayStation 3, director Tetsuya Nomura says it’s because the collection is supposed to preface Kingdom Hearts III and that it uses Kingdom Hearts III technology—specifically in Kingdom Hearts 0.2 and Kingdom Hearts Chi: Back Cover. Nomura also confirms that, given that the original version used two screens, Kingdom Hearts: Dream Drop Distance HD is roughly a remake of the original. A release window for Kingdom Hearts HD 2.8: Final Chapter Prologue is still to be announced.